This post has already been read 537 times! Family – Mother, Mihyun No; Father, Jinhui KIL; Brother, Hyomoon KIL. What is something about yourself that few people know? I didn’t like English that much, but after entering school in Australia for several months in childhood, I got interested in English. I lost weight – more than 60 pounds. I am nearly blind. My eyesight is -6.00. How did you make the decision to come to UNK? 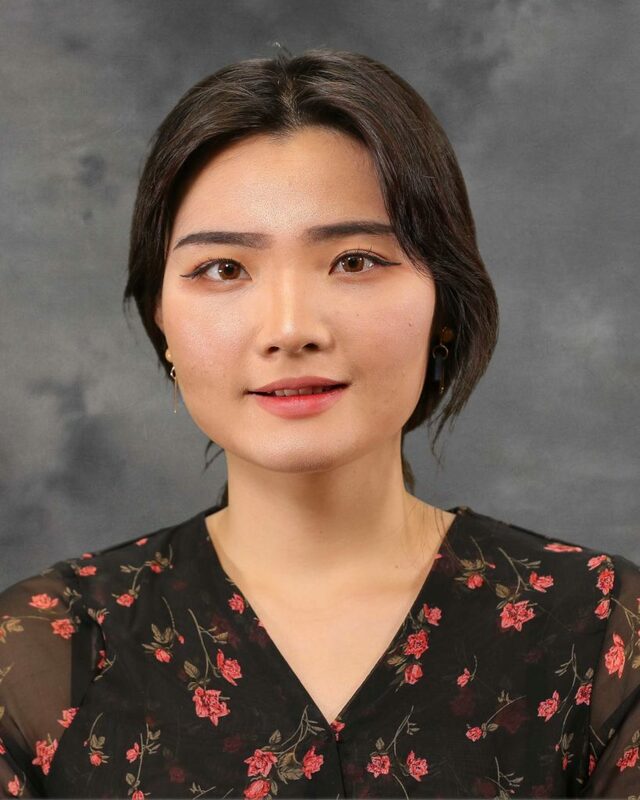 I thought my hometown’s education was not enough, so I wanted to study deeper, so I decided to come to the U.S. The reason I ended up here is that my friend was a UNK exchange student. She uploaded lots of interesting things about UNK. What is your favorite thing about the Kearney community? People are kind to me. What is your fondest memory of UNK so far? Halloween. I’ve never celebrated Halloween before. It was my first time. Everyone wore costumes and makeup. I did almost all of my friends’ scar make up. It was amazing for me to see people preparing for Halloween. What is the biggest challenge you’ve faced in your time at UNK? The fact that I’m not usual looking here. Sometimes someone looks at me and laughs. I know they don’t have bad intentions, but I feel like I’m a stranger every day. 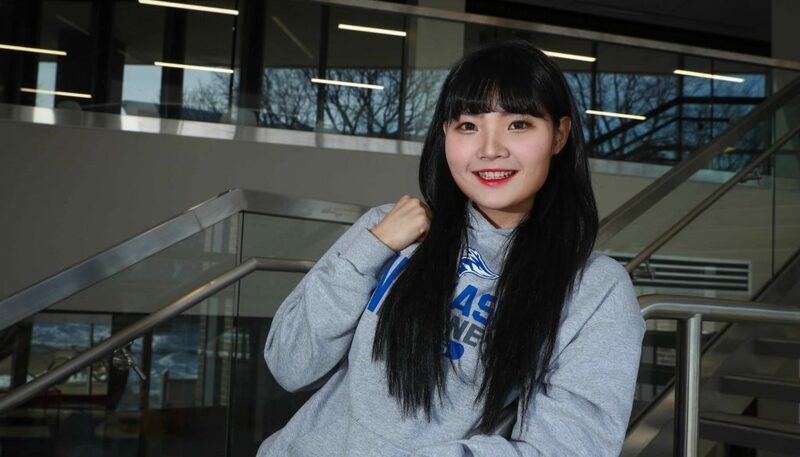 What advice do you have for other international students considering UNK? If you want to come to Kearney, it would be better to get and bring a driving license. I think it would be good to attend conversation tables and not just get along with the same hometown people. I recommend getting a host family. Your favorite place to visit in Kearney? I like to go eat at Hyvee. In Kearney, you don’t have much Asian gourmet or groceries. So, when I want to eat sushi, I usually go there.